When James Weaver clocks in as Washington state’s new chief information officer Dec. 10, he will find himself up against several challenges, not the least of which being that he will lead an organization that has been repeatedly criticized as being both uncommunicative and financially unstable. But Weaver will also walk in the door with nearly 30 years of experience working in state government IT and a strong sense of duty to ensure his office is seen as a collaborative partner going forward. Weaver, currently serving as Pennsylvania’s chief technology officer, was named the director of Washington Technology Solutions last week, filling a seat left vacant by the departure of Michael Cockrill, who resigned as Washington’s chief information officer in October 2017. In an interview with StateScoop, Weaver said that as he’s moved up the ranks over the years, transitioning from operations-heavy roles to more strategy-oriented ones, the role of IT as a supporting character in the cast of government has been continually reinforced. Top state technology officials around the country have uttered some variation of that line. But it’s a necessary message, Weaver said, because not everyone does business that way. As CTO, Weaver spent the past three years working alongside Pennsylvania CIO John MacMillan, who is now in the middle of a project shifting the state toward a shared services model. 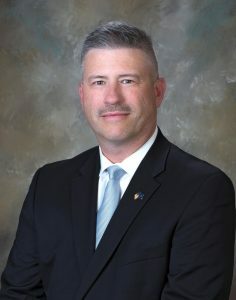 Weaver said that experience will be applicable to his new role in Washington, particularly as it relates to matters governance, financial accountability and technology convergence. “I think the fact that we were as an IT organization here in Pennsylvania able to come together into a shared services model speaks volumes of what can be done from an IT aspect in supporting agencies and their businesses,” Weaver said. Weaver said he’s communicating with Vikki Smith, director of the Washington Department of Revenue and current interim director of WaTech, to work on a transition plan, including preparation for the open of the 2019 Washington state legislative session on Jan. 14. Rebranding WaTech as a trusted partner to other state agencies could be a challenge for Weaver, though. A state auditor’s report last year that found “not all customers believe that WaTech is open to constructive feedback.” Weaver will also need to balance the work of keeping government modern with keeping some of the state’s decades-old critical systems operational. But innovation and efficiency-seeking standardization can co-exist, he said. “I think if you take the balancing aspect of governance and how those decisions are made as it relates to IT and the services we provide out to agencies in Washington, as well as the framework from an architectural perspective, how our applications are constructed, what are they built upon platform-wise, what the backend technologies that are supporting them — I think that’s where we need to start to focusing more of an effort, potentially,” he said. But Weaver also said he’ll need to wait until he shows up in Washington before he can make a firm determination about what the state’s IT future will look like. Until then, he said he’s driven by a sense of duty to improve state government.